This one will make your book club jealous! 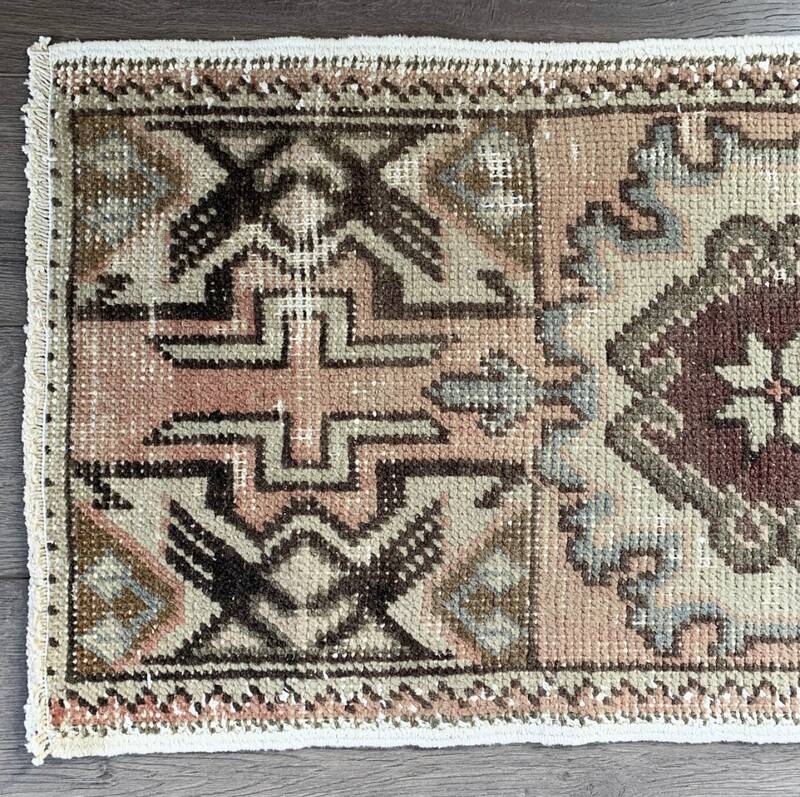 This vintage Turkish Oushak Rug in blush pink, cream and olive green was hand-knotted in the 1940s and is in great vintage condition. 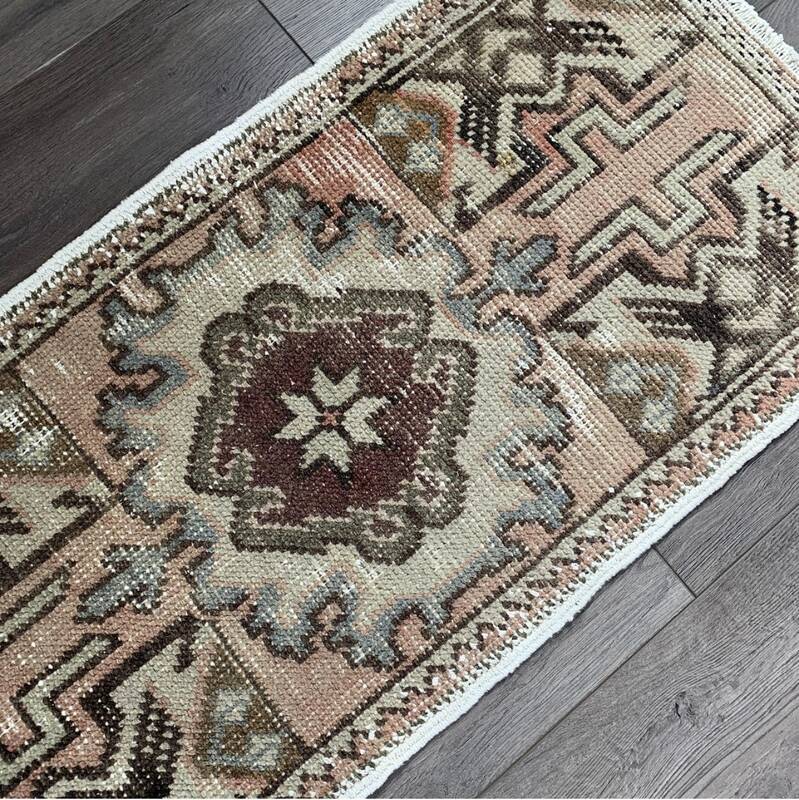 It has rare and contemporary colours: the blush pink field holds one beautifully designed centre medallion with cream, pale blue and maroon details, and 4 corner pieces in similar colour ways. 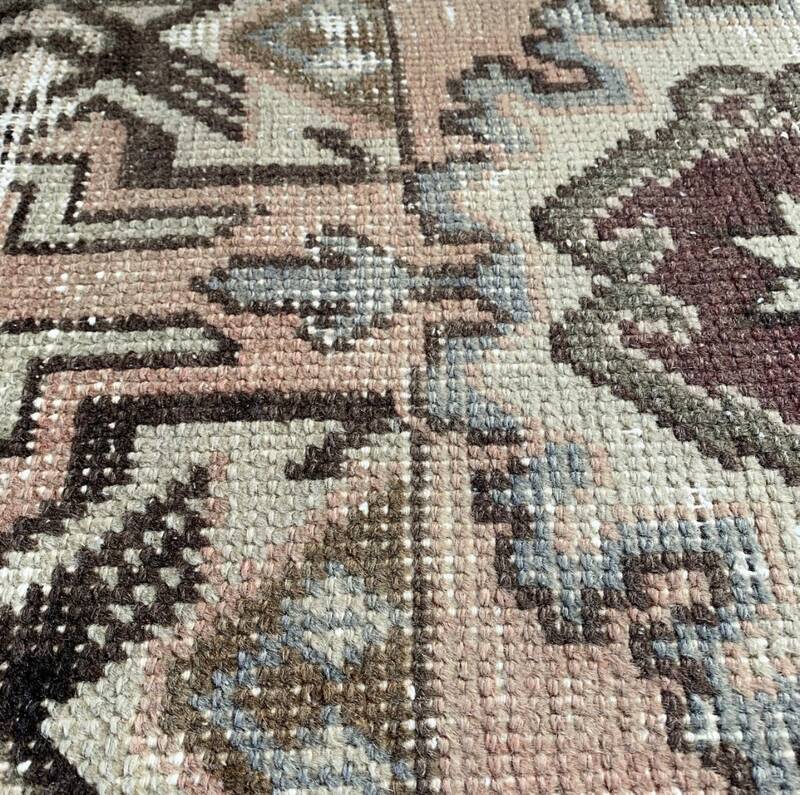 Olive green is a very rare colour to see in rugs of this vintage and works beautifully with the pink. 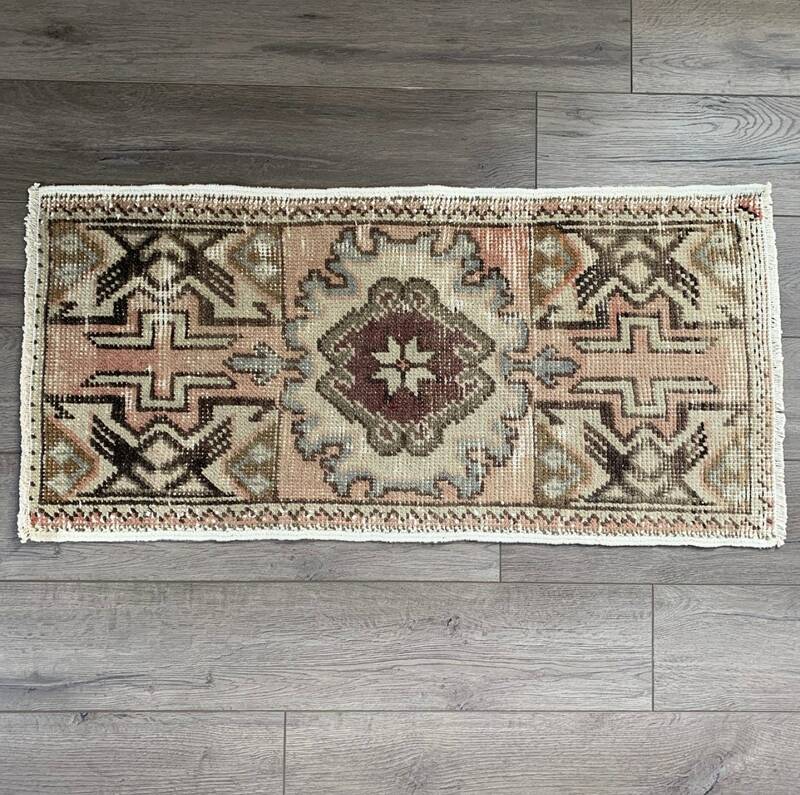 It’s a versatile size that will work well as an accent rug in front of a bathroom or kitchen sink, or in an entryway. 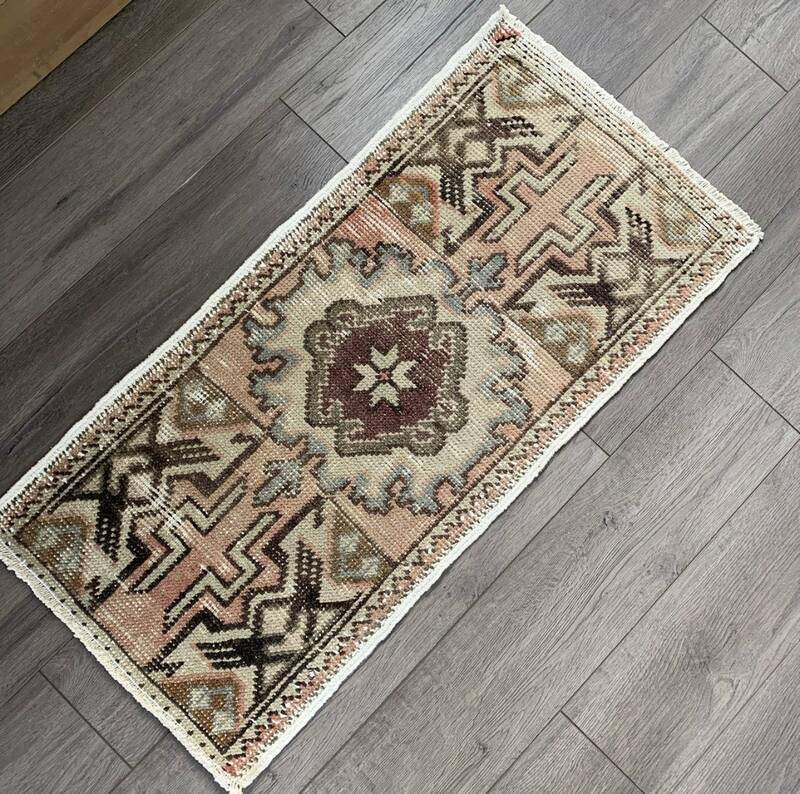 Turkish Oushak rugs are durable and easy to clean, so this rug would work well in a high traffic area. 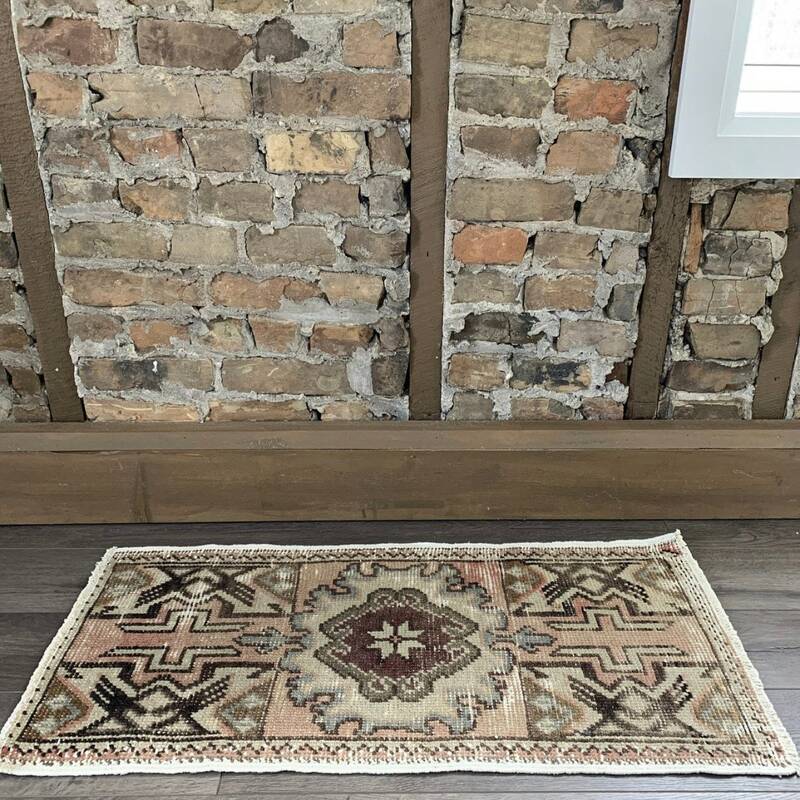 Add a layer of history and colour to your space!